Remote CCTV - How can it save your business money? Remote CCTV – How can it save your business money? Does your business have an effective and reliable CCTV security systems? Have you considered any other ways of monitoring your workspace remotely? Can the way you view your work areas enhance your productivity and operational planning? Are you able to effectively make decisions while away from the workplace? CCTV combined with remote access control is a widely under-utilised tool that can greatly enhance security investigations and reduce operational running costs. Are your CCTV security systems remotely accessible and does it cover all aspects of your business from the exterior perimeter fence lines through to monitoring highly classified and valuable security freight or simply being in a position to allow access for afterhours deliveries. Choosing ‘quality over quantity’ is the most productive and efficient method of applying CCTV technology. CCTV technology has dramatically increased the way businesses and assets are managed. The basic installation of cameras and reviewing footage is no more. Technology now allows for more thorough analytics of workspaces both proactively and reactively. Greatly improved analytics have brought facial and registration recognition to the forefront of a robust CCTV operation. With increased definition and frame rate the ability to identify persons of interest or known offenders in a shopping centre through to recording every truck and vehicle movement in a busy and hectic worksite via CCTV hardware and software is now possible. Different applications of CCTV allow businesses to operate seamlessly and efficiently by having minimal manpower on the ground. 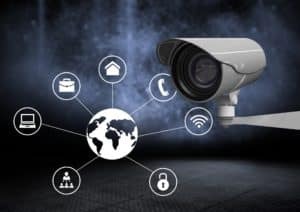 Running remote sites can be problematic and expensive but with the CCTV technology of today, it is governed purely by the imagination and out of the box thinking. Imagine multiple worksites that can be remotely run nationally via the use of CCTV and remote access control from one central operations base. That reality is now. Remote premises in Kalgoorlie or Newcastle can be remotely accessed by security in Sydney to grant access rather than have dedicated security manpower onsite. No lengthy waiting times for security to arrive at unmanned sites or trucks left waiting outside of the premise. The ease of managing security remotely has supercharged the capabilities of business and allowed for the reduction in expensive security measures. Surveillance footage can be used to help in the reduction of costs for the call out of a patrol when security can make the judgement remotely to a range of onsite incidents without incurring added costs after hours. A simple phone call and prior knowledge reduces the security functions running costs; call out fees and direct damage costs dramatically when remote security is used proficiently. Remote access to warehouses or factories for deliveries without having physical security onsite but still maintaining a strong visual (through multiple cameras and signage) security presence is a major cost saver for businesses requiring to operate 24/7. For further information on protecting and implementing defences using CCTV as well as many of the other threats Australian organisations face presently, do not hesitate to contact Agilient.